Whether you live in a recreational or a medical marijuana state, chances are that you have heard about CBD oil. If you haven’t, you should know that CBD is an abbreviation for cannabidiol, one of the compounds found in the plant Cannabis sativa. One of the best sources of CBD is the hemp plant, and one of the best ways to get the medicinal benefits of CBD is through CBD oil. While there are a number of ways to ingest CBD oil, the best way, hands down, is via vaping. This is because vaping CBD makes the most of the compound’s bioavailability. Long explanation made short, vaping CBD oil allows more of the compound to be utilized in the bloodstream, bypassing digestion, which lowers its effectiveness. How do you choose the best CBD e-liquid? There are a lot of online retailers offering CBD e-liquids, and since hemp-derived CBD oil is legal in all 50 states, that means you’ve got to do your homework to ensure you are getting the best e-liquid for you. That, in itself, can be tricky. Luckily, you can read on to find out how to choose the best CBD e-liquid for you. The following generally applies to vape pens and vape mods. Keep in mind that many portable cannabis vaporizers are dry herb vaporizers, which aren’t meant for e-liquids. Remember the old adage “don’t judge a book by its cover?” Turns out, that doesn’t apply to CBD oils. You want to judge the quality of the CBD oil from its consistency. You want it to be uniform throughout, or homogeneous. There should be no obvious separation and you shouldn’t see any debris floating in your e-liquid. When it comes to the clarity of the e-liquid, the clearer, the better. Light should be able to pass through the e-liquid easily. After all, you wouldn’t drink water that is murky, so why vape a cloudy e-liquid? When it comes to quality, the higher quality CBD oils and e-liquids are clearer than those of a lower quality. Will the E-Liquid Work in Your Vaporizer? When determining if the CBD oil will work in your vaporizer, there are a few things to consider. If the CBD oil is made with vegetable glycerin, it may not be homogenous. When the oily CBD separates from the VG, it can render your tank unusable. This is because the oil tends to dry out and harden the wicks used in the coils, forcing you to change your coils more often or completely replacing your tank. If you use your e-cig mod for everyday vaping as well, the taste of CBD oil can linger, affecting the other e-juices you use. Get around this by choosing a CBD liquid that is fully homogenized or use your vape pens with a ceramic heating element. While disposable CBD cartridges are convenient, they do not work with every vape battery. They are also not refillable nor are they biodegradable. Is the CBD Oil Responsibly Sourced? When it comes to anything that you put into your body, there is no such thing as too much information. A reputable CBD oil company will have no problems disclosing the full process, from seed to shelf. The best CBD oil comes from superior hemp plants, which are sourced all over the globe. A big red flag is if the company does not disclose where their hemp comes from – or how the CBD oil is made. The best CBD e-liquids are extracted using a CO2 process that is expensive. This process removes microbes, heavy metals, and solvents. If the company cannot tell you how the oil was made or where it came from, find a company who discloses this information either through its website or has customer service representatives who can answer these questions. In the end, vaping CBD oil can be a good way to balance your endocannabinoid system and provide relief for a number of ailments, from pain to anxiety. The best advice when it comes to choosing a quality CBD e-liquid is to do your homework and hopefully, these guidelines can help you find the right CBD e-liquid for you. 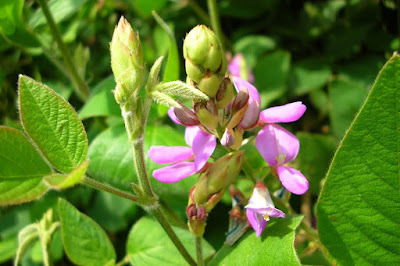 Manayupa (Desmodium Adscendens) other names : Amor-do-campo , Amor Seco , Barba de Boi , Beggar-lice , Burbur , Hard Man , Hard Stick , Manayupa , Margarita , Mundubirana , Mundurana , Pega Pega , Strong Back , Tick-clover. Manayupa is a flowering plant belonging to the Desmodium genus, which is a member of Fabaceae family (also known as the bean family). 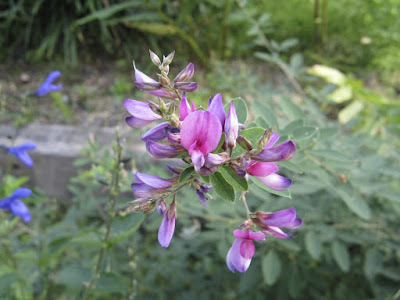 There are several dozen plants in Desmodium genus and the delimitation of this genus has changed significantly over time. 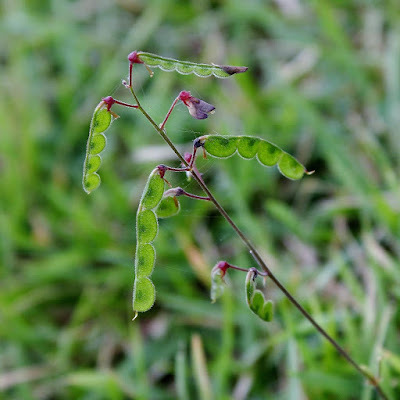 Manayupa (scientific name Desmodium Adscendens) has its origin in the equatorial regions, especially in Africa and South America. However, the manayupa herb is more widespread in the tropical coastal areas of Africa, where they are found growing in the wild. Manayupa is a perennially growing weedy herb. The manayupa usually reaches a maximum height of 3 feet and bears oval leaves that appear alternately. In Suriname, manayupa is a very common, native weed found growing naturally in yards and the length of roads. The manayupa bears small green hued beans in pods measuring anything between 1 inch and 1 1/2 inches. The pods of Manayupa are muggy, while the flowers of manayupa are small and their color may vary from light purple to pink. Some plants of this species bear large or bright flowers. While some manayupa plants can grow to become sizeable, most of them are herbs or simply small shrubs. The fruits of manayupa are loments by nature. In other words, each seed of the manayupa fruit is dispersed separately while remaining encircled in its section. This is one reason why these plants are considered obstinate. In fact, a number of species of Desmodium genus are believed to be weeds by people in several regions where the plants grow naturally. Nevertheless, these plants have various uses. The modest appearance of these plants does not usually manifest their uses. Traditional healers in Africa use manayupa for treating a variety of liver problems, such as jaundice, or toxic or viral hepatitis. Manayupa is also used for treating damaged liver. On the other hand, people in Venezuela used Desmodium for treating epilepsy. Only the aerial parts of manayupa, such as the leaves, stems and flowers, are used for therapeutic purposes. 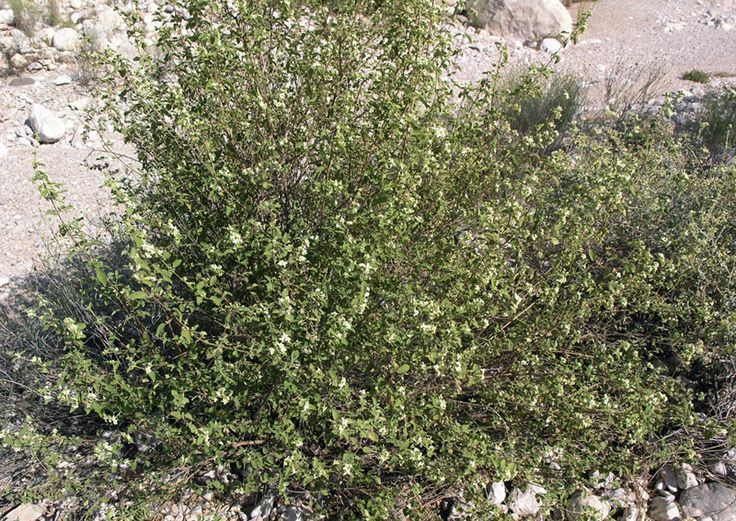 Manayupa plants are often found in places at an altitude of 1,000 meters above sea level. However, these plants are mostly found growing naturally at altitudes between 3,000 meters and 4,000 meters above sea level in the mountainous regions of Peru in Latin America. Manayupa has several applications in the medicine systems of the regions where the plant is native. 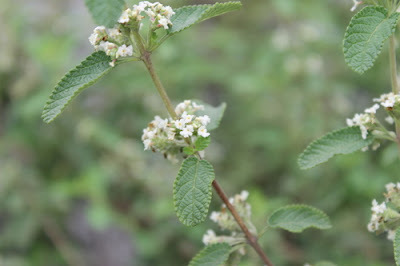 People in those places have been traditionally using the manayupa herb for treating a variety of health conditions including asthma, allergies, malaria, inflammation, gastritis, parasites, viruses, kidney stones, and in the form of a blood purifier and also as a sedative. In the herbal medicine of Peru people prepare a tea with manayupa leaves and drink it to purify their blood. In addition, they also use the manayupa herb to detoxify the body and eliminate all environmental chemicals and toxins, to cleanse the urinary tract, alleviate headaches, inflammation and pain as well as to ease kidney stress. The manayupa leaf tea is also employed to cure problems related to the ovary, for instance irritation and inflammation, hemorrhages and vaginal discharges. Drinking manayupa tea in small doses or amounts may prove to be highly effective. At the same time, no adverse or toxic effect of drinking this leaf infusion tea has been reported thus far. A number of native tribes are of the belief that manayupa possesses magical powers. As a result, they often administer this herb to a lover who no longer seems to be interested in his/ her mate with a view to rekindle the old relationship. Even in the present times, the tribal population in the tropical regions where manayupa is found growing naturally continues to use this herb in the same manner as their ancestors to treat various health conditions afflicting them. The worth of the manayupa herb as well as its therapeutic uses have remained unchanged for them. Some inhabitants of the Amazon region prepare a tea with the leaves of this herb and this infusion is used to bathe the breasts of women after childbirth with a view to augment their breast milk production. Some other tribes in the region pound the leaves and add lime juice to it to prepare a paste, which is applied directly to wounds to heal them as well as prevent the injuries from being infected. In addition, the tea prepared from manayupa leaves is also employed for curing convulsions as well as venereal sores. This tea or infusion has also been used traditionally to treat diarrhea and malaria, in addition to curing venereal diseases. It is also used in the form of a digestive tonic. Currently, scientists are examining the effectiveness of manayupa in treating asthma. 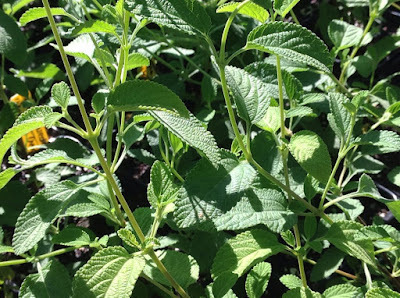 This is primarily owing to the fact that the shamans and herbalists have been traditionally and successfully using this herb to treat asthma since long. They claim that manayupa is highly effective in treating this respiratory problem. 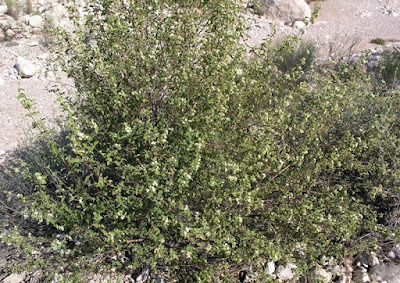 Manayupa offers several therapeutic benefits and, hence, has a number of applications, especially by the native populations where the plant grows in the wild. Manayupa is said to be effective in treating all types of inflammatory conditions, as it works by enhancing the functioning of the kidneys. At the same time, Manayupa promotes urine flow and acts as a diuretic. Manayupa is also effective in getting rid of all waste deposits in the urinary tract. In addition, Manayupa is used by people in South America to treat conditions related to every kind of inflammation, primarily owing to the plant’s anti-allergic and anti-asthma properties. In the traditional medicine of Suriname, manayupa is used for treating constipation, diarrhea, dysentery, bronchial asthma, liver dysfunctions, and malaria, problems related to the urinary system and also for curing chronic and severe hepatitis. In Belize, people prepare an infusion by soaking the whole herb in rum for a day and drink the infusion for alleviating back pain. This herb is also beneficial for people enduring nervousness and fatigue. Manayupa also helps to regulate the liver and is used for treating several hepatic conditions. Manayupa is especially beneficial for treating hepatitis and gallbladder infections. Manayupa possesses anti-inflammatory, antioxidant and anti-infective properties. It is said that manayupa also helps to speed up fat metabolism, thereby is beneficial for people undergoing weight loss treatments. Manayupa is commercially available in a variety of forms including the dry herb, tincture, capsule, extract and others. It has been established that this herb is non-toxic. However, when taken in elevated doses, Manayupa can produce laxative effect. Hence, it is advisable that you check with your therapist or herbalist before you start taking manayupa. They are the best persons to decide whether this herb is suitable for your use and also determine the correct dosage for you. Hoodia (Hoodia Pilifera) other names: Cactus, Cactus Hoodia, Cactus du Kalahari, Extrait de Hoodia, Hoodia Cactus, Hoodia Extract, Hoodia Gordonii, Hoodia Gordonii Cactus, Hoodia P57, Kalahari Cactus, Kalahari Diet, P57, Xhoba. The herb Hoodia pilifera gets is name from Van Hood, who was a keen and tender cultivator. On the other hand, the botanical name of the species is derived from the Latin term ‘pilus', ‘hair; trifle' + ‘i' - the connective vowel is made use of in Latin from the Latin word ‘fero', denoting ‘to bear, carry and bring'. In effect, this refers to the apical hairy spines present on the tip of every tubercle (a small, firm, rounded nodule). 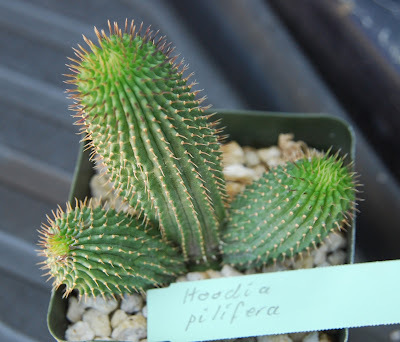 Native to South Africa, Hoodia pilifera is a leafless plant having a fat, succulent stem. Generally, Hoodia pilifera is found growing in parched areas at an altitude of approximately 300 meters to 900 meters. The Hoodia pilifera produces saucer shaped flowers that have a deep purple to nearly black to pinkish brown color inside, while on the exterior it has a reddish green hue. The flowers of Hoodia pilifera may appear solitarily or even in small clusters or inflorescences. The flowers of the Hoodia pilifera are somewhat diminutive having a corolla that is pinkish-yellow in most cases, while the corona has a yellow hue with a potent wicked smell. On the other hand, the pedicels are comparatively long which makes the flower somewhat droopy at times. It may be noted that the Hoodia pilifera plants are uses in the same manner as the Hoodia gordonii to suppress appetite and thirst. Hoodia pilifera is a succulent plant growing up to a height of 0.5 meters, having plump, uneven and thorny stems that originate from a common base. The flowers of Hoodia pilifera possesses the smell of decaying flesh with a view to draw flies and blowflies, which act as main pollinators. The seed capsules of Hoodia pilifera remind you of the horns of a goat and enclose numerous brown seeds having silky seed hairs. Currently, three sub-species of the Hoodia pilifera are known. The sub-species pilifera bears purple-brownish flowers that grow up to 20 mm in diameter, while the sub-species annulata bears flowers that have deep purple to black color and grows up to 20 mm to 30 mm in diameter with unfolding lobes. The third known sub-species is called pillansii which produces flowers whose color ranges from yellow to pink and are devoid of the elevated rim or annulus, which is present in the other two sub-species. The main species that is under commercial development is Hoodia gordonii, which produces large, flesh-colored flowers. 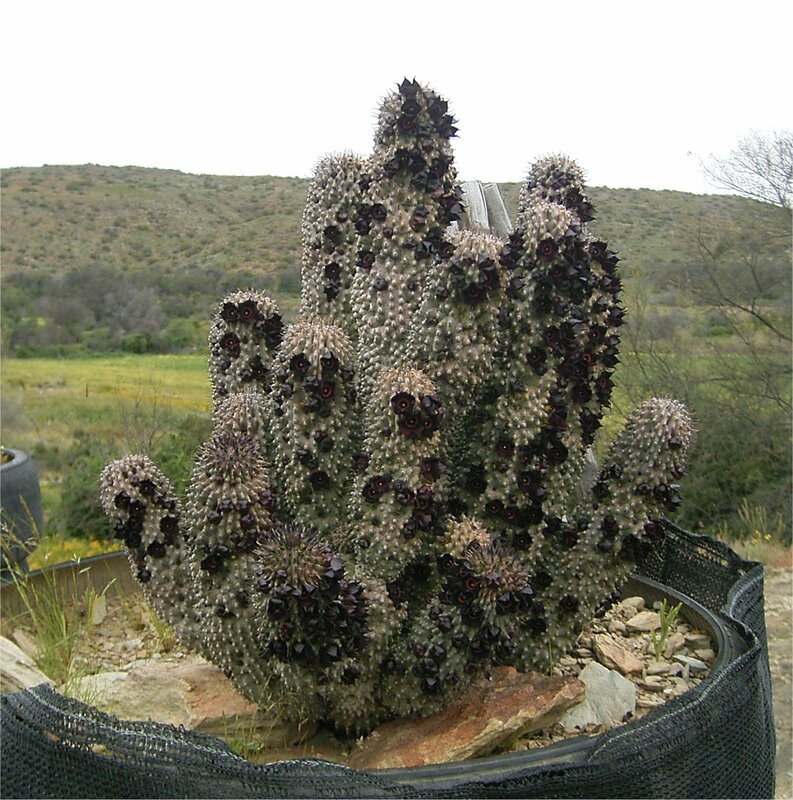 Native to the arid regions of Southern Africa, hoodia has been cultivated on a trial level and is yet to be commercialized completely. Although it is very simple to cultivate the plants in the Hoodia species, the plants are vulnerable to root decay owing to excessive watering as well as lack of clean air. The plant generally requires watering during the growing season and very rarely during the winters. Normally, it is advisable to over-winter the plants when they are grown in warm conditions - at around 10°C. However, despite being native to Africa, the Hoodia species appear to grow excellently as well as produce flowers devoid of any additional heat that one may have considered necessary for cultivating these plants. Sometimes the plants are also able to endure temperatures close to 0°C or even below provided they are maintained in a dry state. Hoodia is a cactus-type plant from the Kalahari desert in Africa. People use hoodia to curb their appetite so they are able to lose weight. According to some claims, San bushmen in Africa eat hoodia to fight off hunger during long hunts. The stems of the plants belonging to the Hoodia species as well as other succulents are also known as carrion flowers or stapeliads - locally called ‘ghaap'. Traditionally, the Khoi-San herders of Namibia and South Africa use the stems of the hoodia to suppress their appetite as well thirst. It may be mentioned that the appetite suppressant code has been isolated, recognized as well as patented. Currently, scientists are studying the appetite suppressant principle of the Hoodia with a view to develop a medication to cure obesity. In South Africa, the country where the plant originated, people use the Hoodia plant species as an expedient food during emergencies. 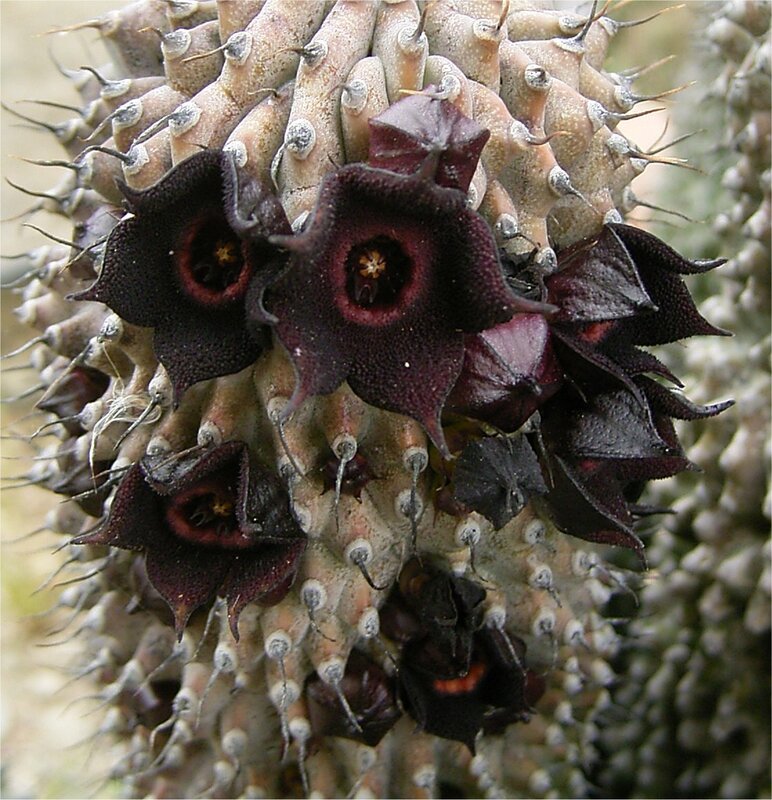 In addition, Hoodia is also used as a source of moisture in ruthless parched surroundings. Hoodia pilifera possesses a bland, but cool and watery flavor. Some people consume the plant raw, while there are others who preserve it in sugar before eating the plant, especially the stems. The unripe pods of Hoodia pilifera are a favourite among the people for its sweetness. Like Hoodia gordonii as well as many other succulents that are referred to as carrion flowers or stapeliads, plants of this species may be used to suppress appetite as well as thirst. To eat the plant, the stem of Hoodia pilifera is cut into small pieces, the skin of Hoodia pilifera is peeled to remove the thorns and consumed fresh. However, the most favourable dose of this Hoodia pilifera is yet to be known. Be careful when buying hoodia products. According to news reports, some samples of hoodia sold on the Internet do not contain any hoodia at all. You might not get what’s listed on the label. There isn’t enough information to know if hoodia is safe. Pregnancy and breast-feeding: Not enough is known about the use of hoodia during pregnancy and breast-feeding. Stay on the safe side and avoid use.